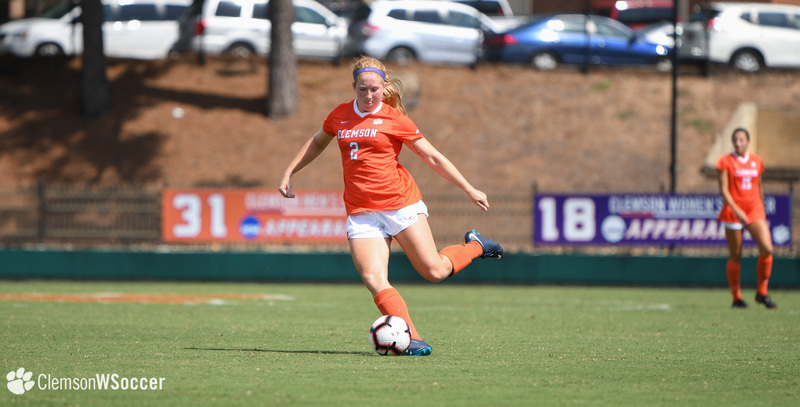 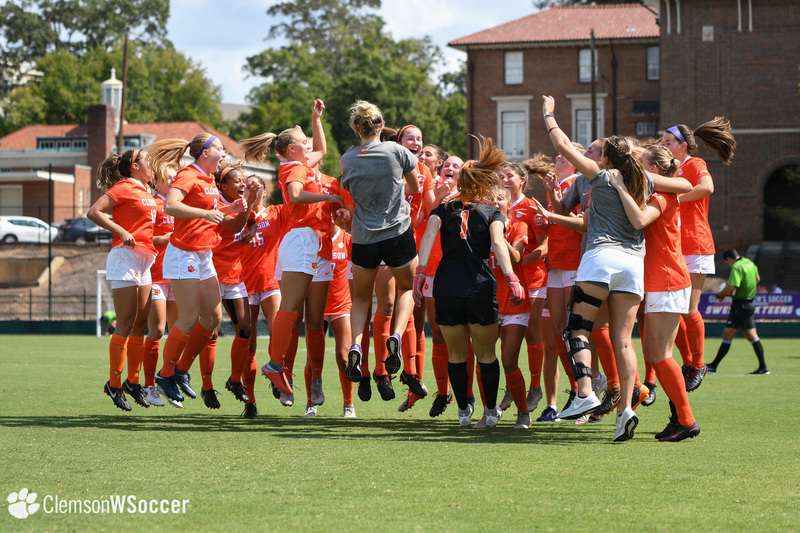 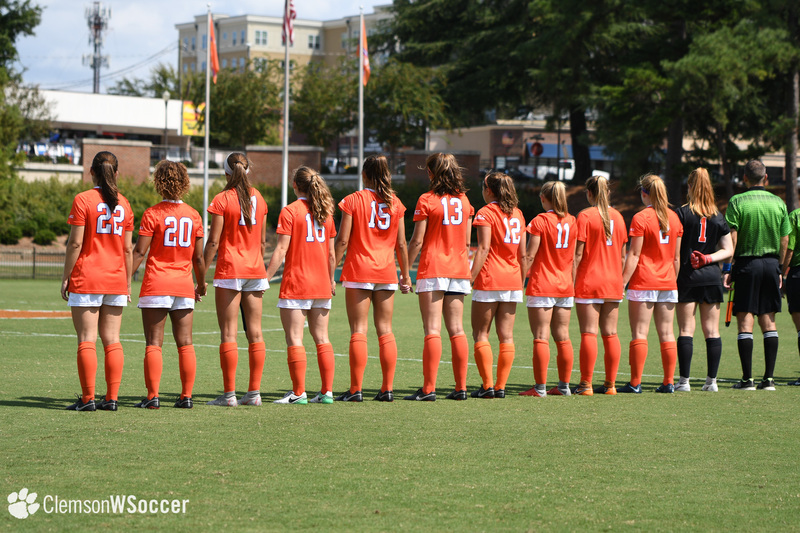 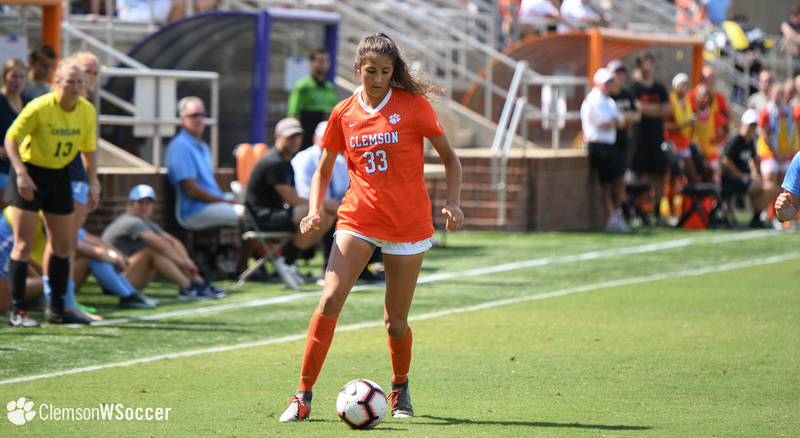 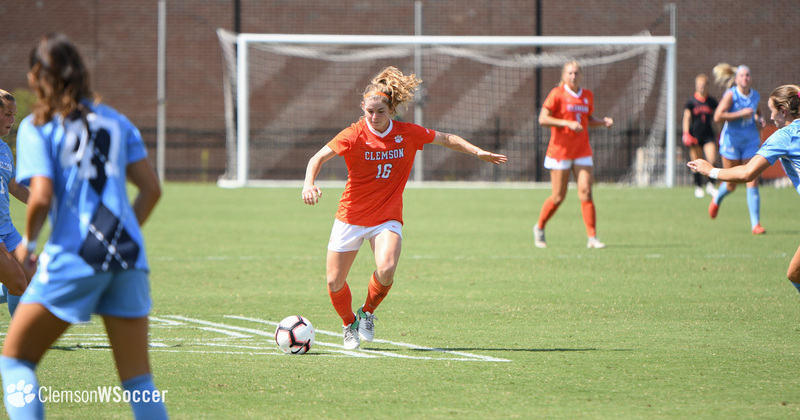 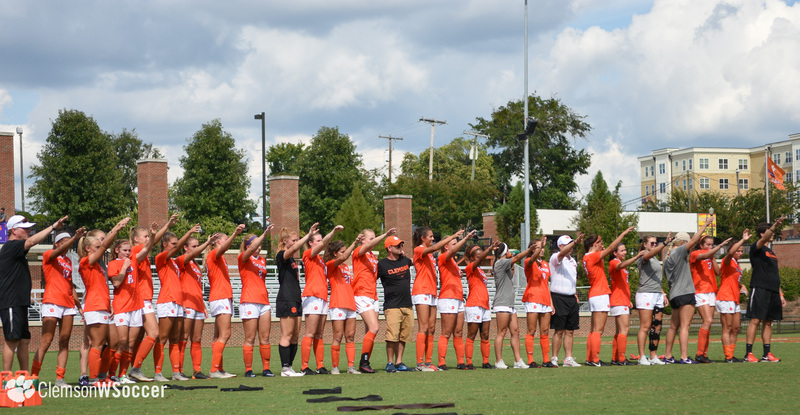 CLEMSON, S.C. – The Clemson women’s soccer team came up short in a 1-0 defensive battle against No. 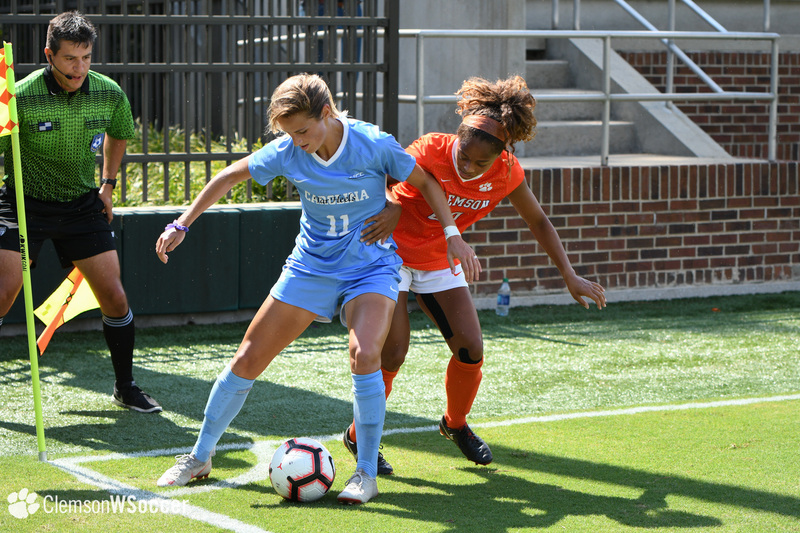 5 North Carolina on Sunday afternoon at Historic Riggs Field. 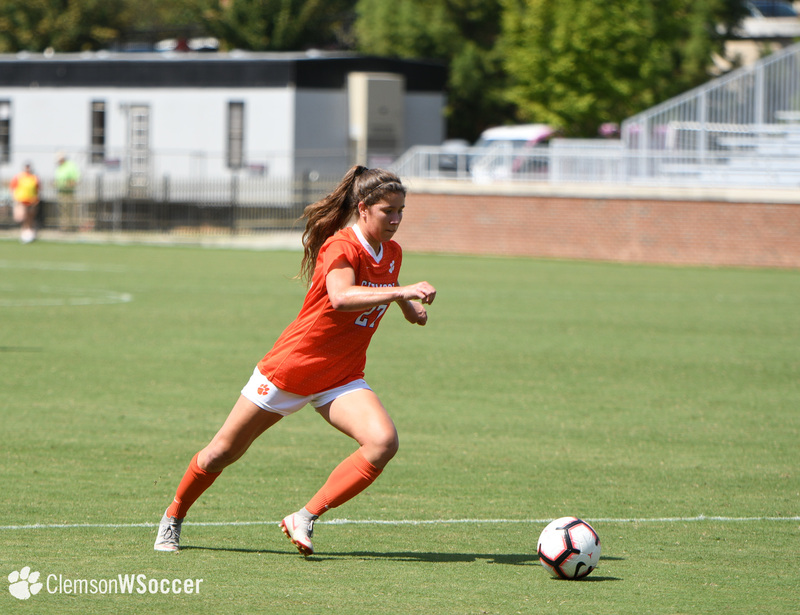 With the loss, the Tigers slipped to 7-4-0 overall and 2-1-0 in the ACC, while the Tar Heels improved to 8-2-1 overall and 3-0-0 in conference play. 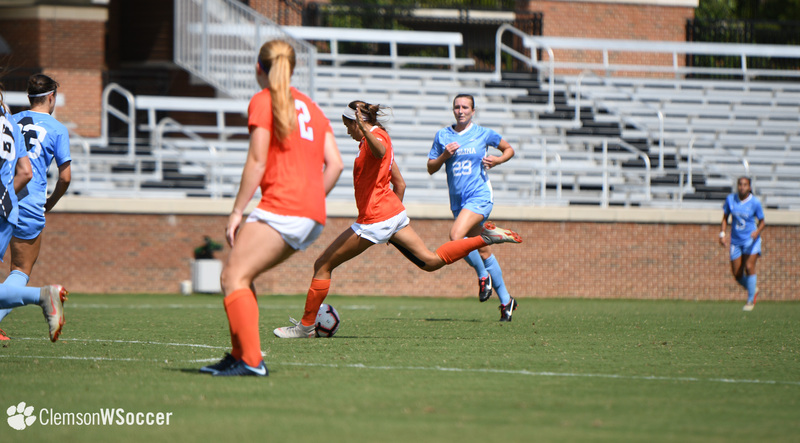 In the 25th minute, North Carolina’s Rachel Jones stole a misplayed ball by the Clemson defense and capitalized on the Tiger error, netting the game’s lone goal from 15 yards out to give the Tar Heels the 1-0 lead which they did not relinquish. 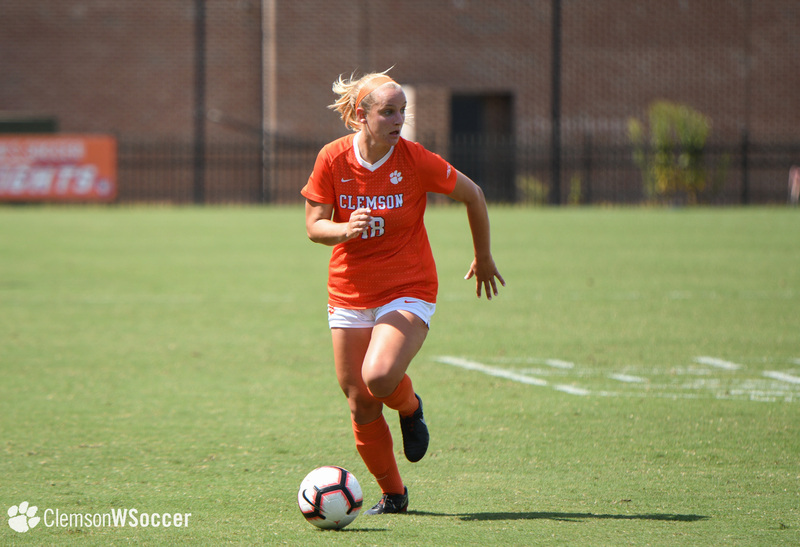 Clemson had one great opportunity to score early in the first half on a long throw-in by senior Sam Staab on the far side of the field near the end line. 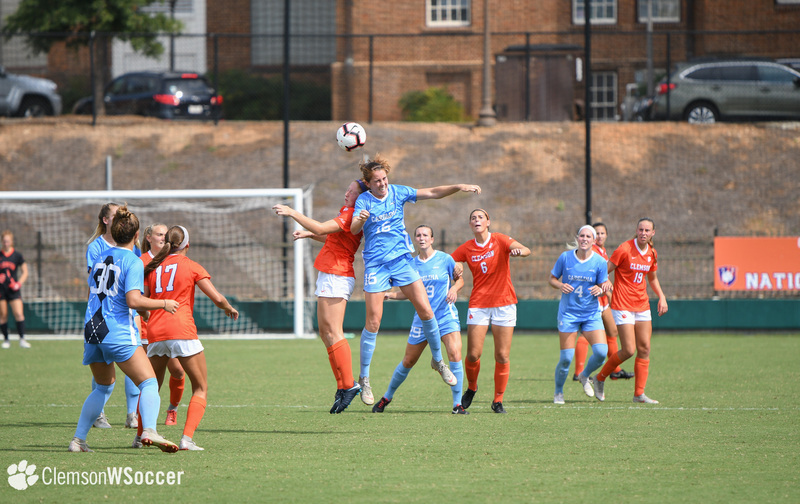 The long pass found the head of junior Dani Antieau who headed it toward the net, but UNC keeper Claudia Dickey came up with a huge save before the ball fully crossed the goal line. 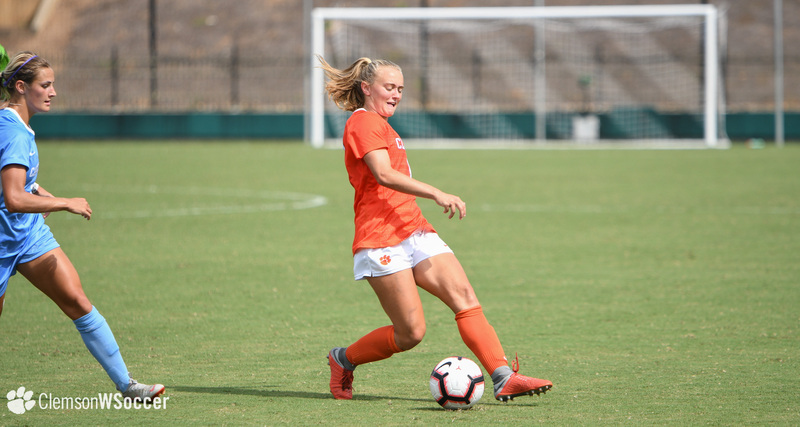 The Tigers created a number of good opportunities in the second half, including sophomore Mariana Speckmaier’s attempt that was deflected off the left post. 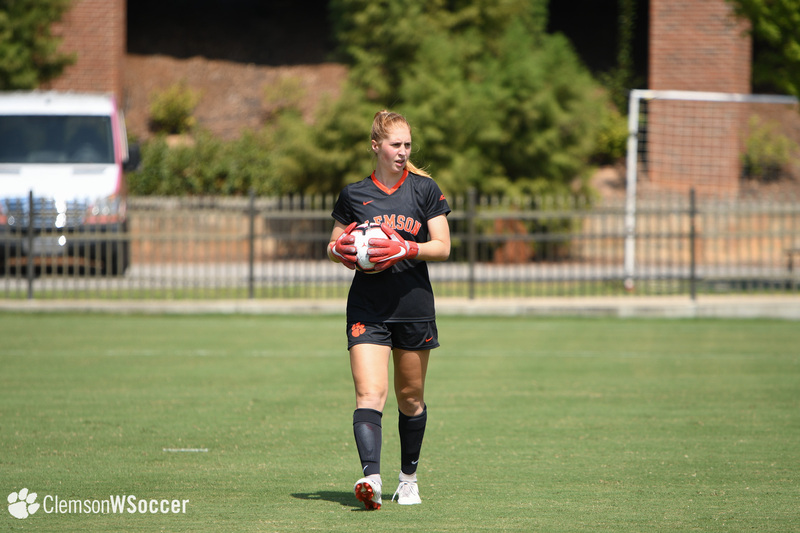 Sandy MacIver, who started her seventh match in goal for Clemson this season, has only allowed four goals all season, good for a .550 goals against average. 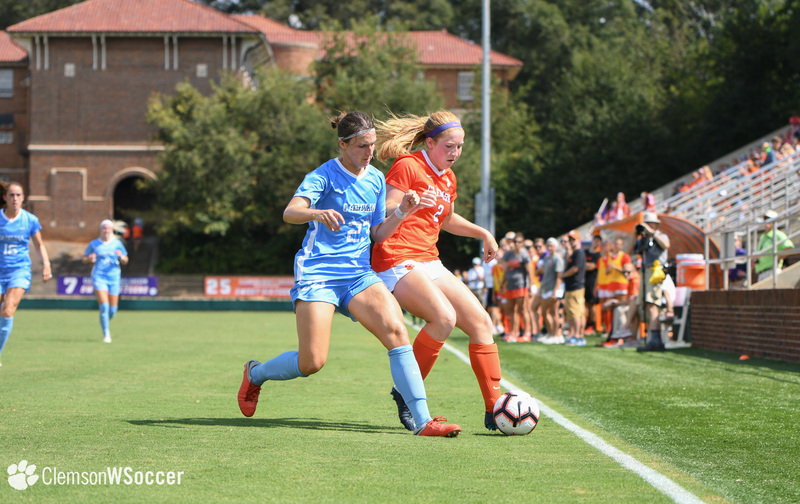 The Clemson defense held the Tar Heels to 11 shots and just three on goal, with the Heels averaging 19.2 shots and 8.5 shots on goal per match in their first 10 contests. 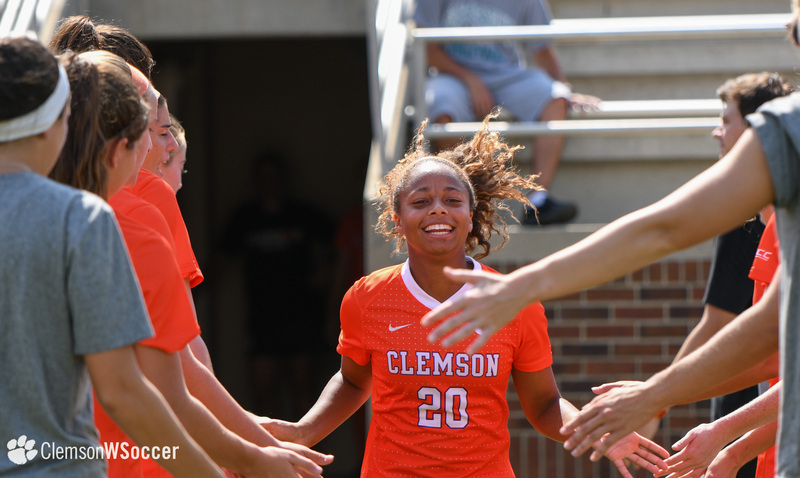 Clemson returns to action for its sixth consecutive home match on Sunday, Sept. 30 as Boston College travels to Tigertown for a 1 p.m. contest at Historic Riggs Field.